We had inherited some friends’ CSA vegetable share over the summer and it always came with tons of tomatoes. 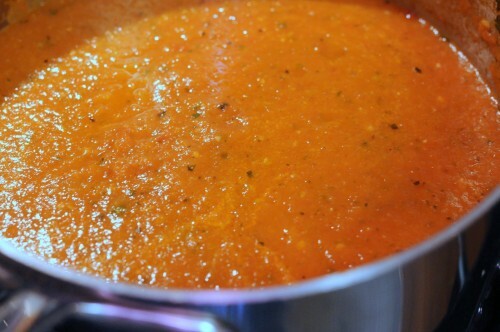 After several weekends spent making and drinking salsa as if it were gazpacho, we decided to try our luck at making homemade tomato soup. Restaurants always make them so hearty, rich and steamy, and so we were determined to make our own. Hot, hearty, and mine. Now it’s yours to make too! 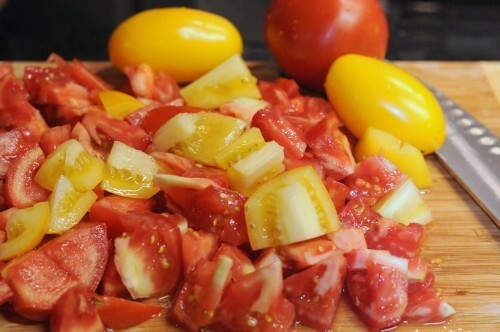 We began with a bunch of ripe tomatoes, chopped coarsely. 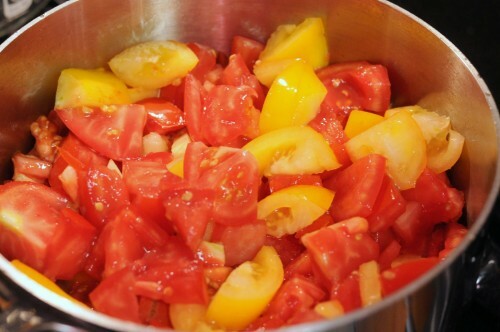 Sauteed after garlic and onion, the tomatoes are allowed to simmer and soften into a broth. The stew is seasoned and allowed to simmer for about an hour. The resulting mixture is good enough for a pasta sauce, but we are not done. Cooled and blended in a blender or pureed with a stick blender in the pot (my technique), this chunky stew has just become soup. Served with a drizzle of heavy cream and a side roll, this is a healthy meal for a good, long conversation. Saute garlic, onions, and then tomatoes. Add broth, tomato paste and cloves and simmer for about one hour. 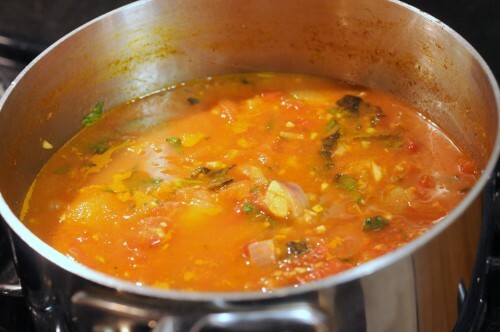 Add chopped basil and blend (either cooled in a blender, or in the pot with a stick blender). Simmer for another 20-30 minutes, season with salt and pepper. 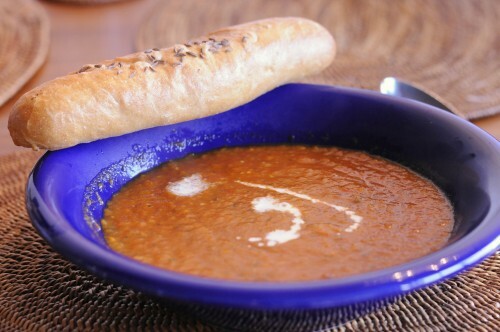 Drizzle some heavy cream before serving and serve with a piece of bread. 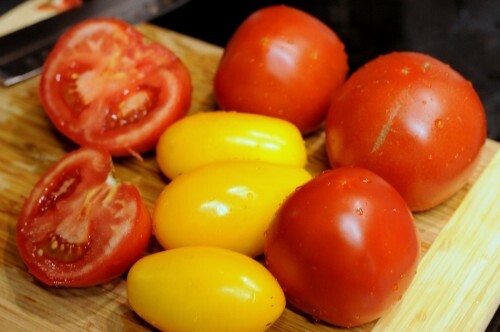 This entry was posted in Recipes and tagged soup, tomato, tomato soup on September 6, 2012 by admin.